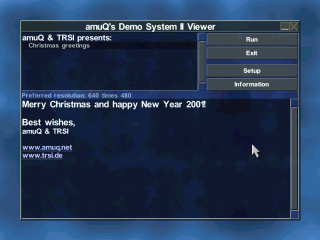 "Xmas 2k" is a co-production between amuQ creations and TRSI (Tristar & Red Sector, Inc.). 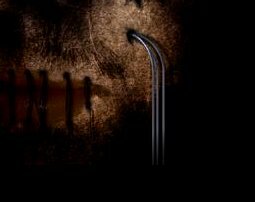 The demo was designed and scripted by vulc and the lazy one of amuQ, while the music was made by coaxcable/TRSI. Where to get "Xmas 2k"
What happens in "Xmas 2k"
First, when you launch evolution, you should be able to see the configuration menu of the demo system. Here you can change video adapters and resolutions, configure the sound device, look up information about your 3D accelerator and about the demo system itself. To finally launch the demonstration, press the "Run" button. The first part starts in a snowy winter scene with small mountains, some tan trees and a hut with a reindeer. In the foreground, you can read some credits text. 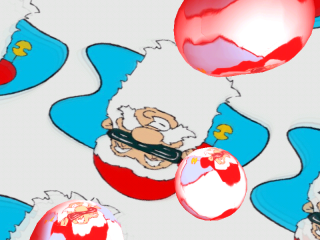 The next scene is a nice roto-zoomed Santa with some nice 3D meta blobs in the front, on which surfaces santa's head is reflected. In the next scene, you can see a neat small 3D scene embedded in a nice picture. 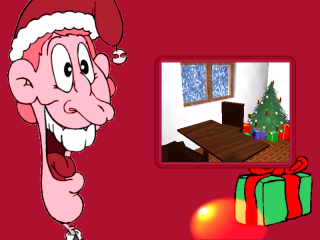 The 3D scene shows a small living room with a christmas tree and some presents laying under it. Outside snow is falling down. 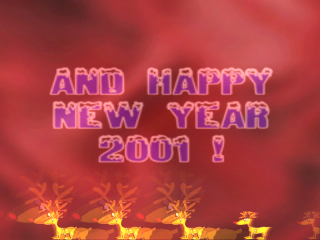 After that, there comes a nice scene with some flashing reindeers and the happy christmas and happy new year wishes. In the last scene, you see the snowy winter scene from the first part from top-down, with a wishings/credits/greetings scroller in the front. 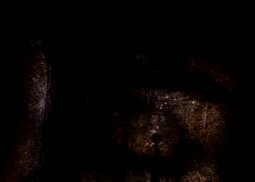 After that you see the amuQ creation "Q" logo splash in and out.